Blog Quick Quotes: Natural Beauty with Marcia! Hello Quick Quotes friends, Marcia here to host the blog today. I have a Stowaway layout to share with you. I think this collection is perfect for so many pictures. I've used it with winter pictures and now today with some fall pictures. This layout features my husband watching this bald eagle at Itasca State Park in northern Minnesota. Once in danger of extinction, the bald eagles have made a comeback and I just love seeing them. This one was fishing in the lake. 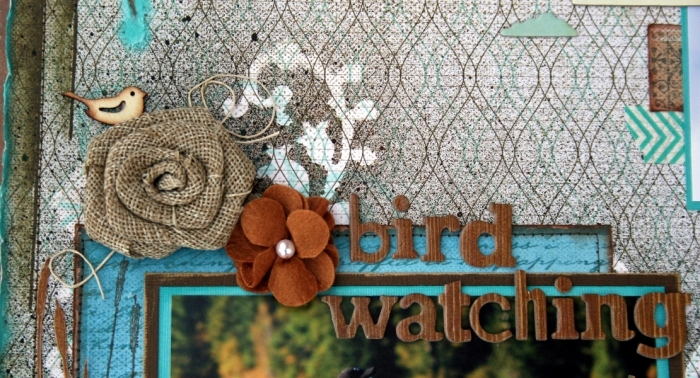 I distressed the edges of my paper and then used the Tahiti PowderPuff chalk ink on the edges. I love how it helps to frame the page. 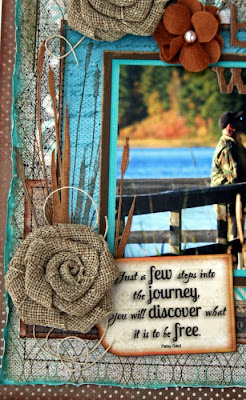 I also stamped some cattails onto Kraft paper using Mocha Mama and Coal Miner, then I fussy cut them out. I hope I've inspired you to use the Stowaway collection for scrapping your outdoor pictures. 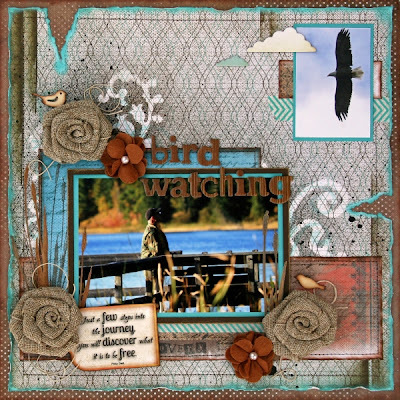 Stunning layout Marcia!! 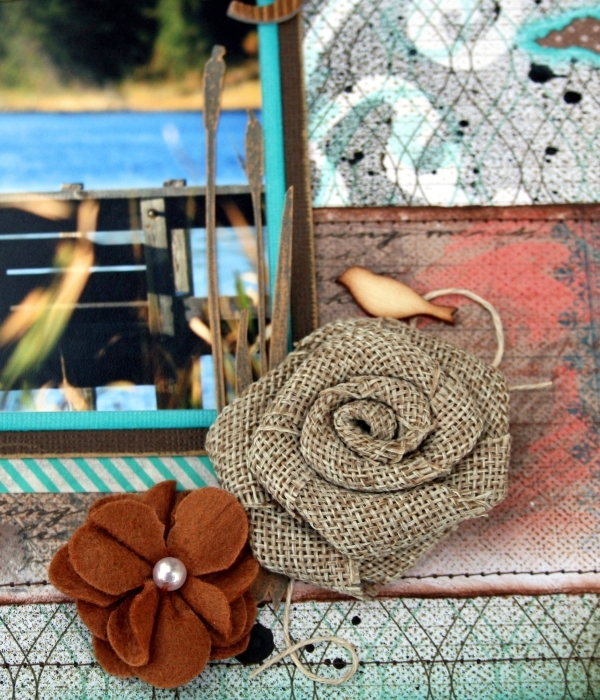 The burlap flowers are the perfect embellishment and I love the way you used the photo of the bird in the corner! Gorgeous! 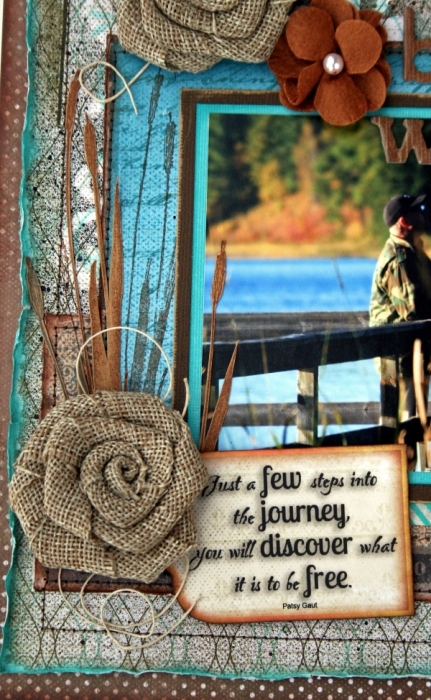 Fabulous - the rustic embellishments, the colors, the layout - love that blue!